Marcel Cabijos was a Maître d’Armes (master of arms) who taught the art and science of fencing in New York City in the old tradition. Born in France, in 1893, Maître Cabijos began to fence at the age of 12. Cabijos served in the French Navy as Marine Carpenter aboard the cruiser Jurien de la Graviere during World War I, from 1914 to 1919. He was also a combat instructor and served in the Fusiliers Marins, a combat unit that was deployed to the land from ships. During his enlistment he founded a fencing society aboard ship, and became the fencing champion of the French navy. While his ship was stationed at Athens, he also participated in a contest that took place before the King of Greece, in which Cabijos soundly defeated the Greek champions. After the war, he received his Maître d’Armes (master of arms) diploma and taught in the south of France for several years before emigrating to New York City in 1924. 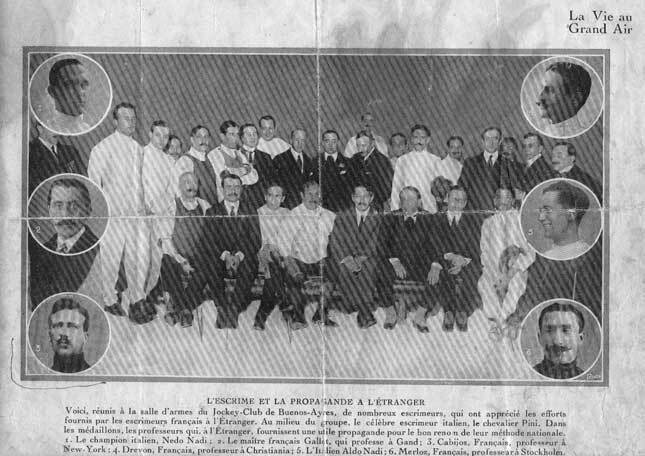 Upon his arrival in New York, Cabijos began his association with the Saltus Fencing Club located at the French YMCA as an assistant to Maître Martin Capdevielle. On Capdevielle‘s death, Maître Cabijos became the head Master at the Saltus Club. When the French YMCA was dissolved, he moved with the Saltus Fencing Club to the McBurney YMCA. 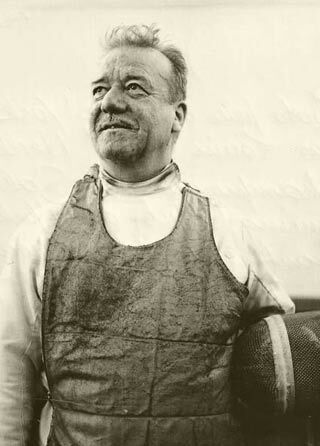 In addition to his duties at the Saltus Club and YMCA he taught at several other venues, including the French School for Girls, St. Agatha School, Marymount College, the Collegiate School for Boys, the Brutus Fencing Club, Vassar College, Lehigh University, and the Salle d'Armes Henri IV. 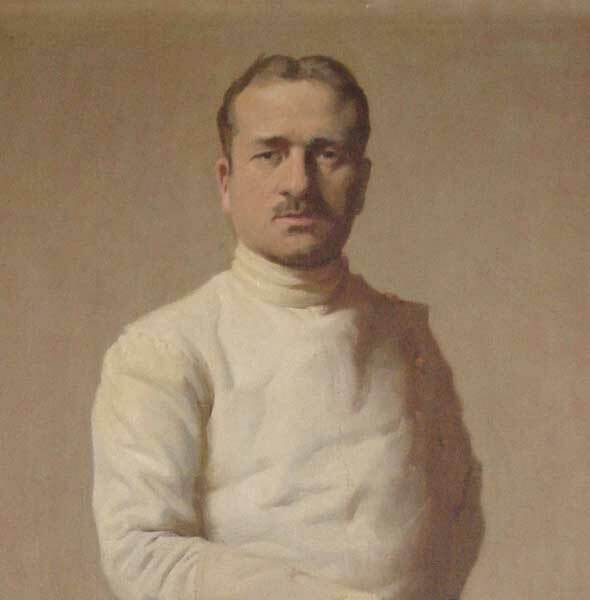 In 1926, Maître Cabijos attained great renown by defeating the sabre and épée champion of the United States, Leo Nunes, with only a twelve-inch dagger, in a well-publicized contest held in New York City. 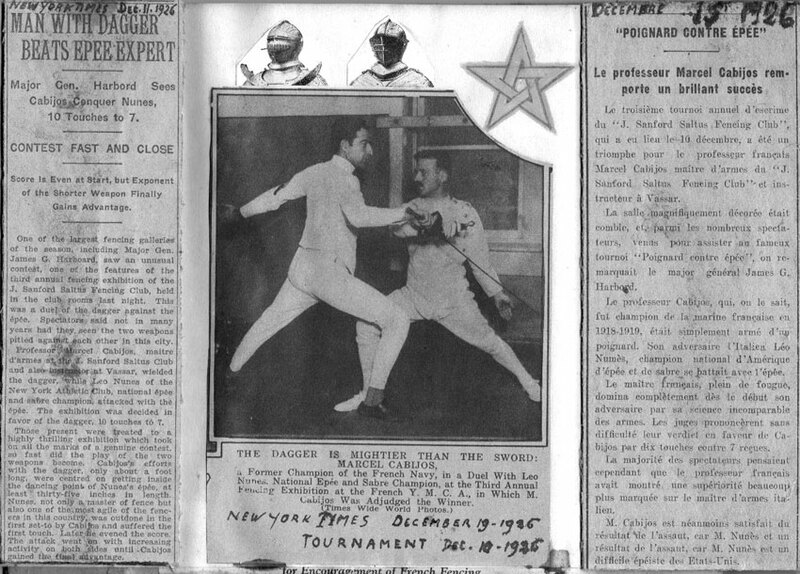 Back in France, newspapers and fencing periodicals lauded his abilities and applauded his efforts to spread fencing in the United States. In addition to his rank as a Maître d’Armes, he was also an instructor of Judo, Savate, and La Canne. Maître d’Armes Marcel Cabijos died in 1964 in New York City. He was totally devoted to his art and nothing except his final illness kept him from the fulfillment of his commitment to the Saltus Club. In the tradition of many great fencing masters he continued to give lessons until the very last week of his life. It may perhaps seem strange that a man endowed with such talents was not more widely known and recognized for them, but anyone who has known Mr. Cabijos knows that he was a man of great humility, with an aversion to any sort of publicity."